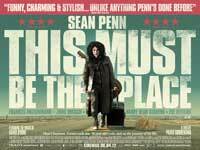 What is it with Hollywood and unimaginative film titles? In this case it can be forgiven as it refers to a song by the Talking Heads, and not some ill thought out, Channel 5 afternoon film drama. I suppose ‘Ex Rockstar Turned Nazi Hunter’, or ‘Cheyenne’s Odyssey’ might have been too obvious. 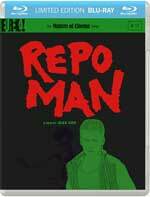 Repo Man is one of the cultiest of cult movies and has been ever since the day it was made. 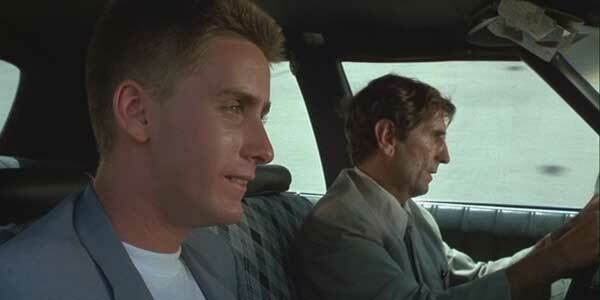 As director Alex Cox explains in the newly filmed introduction, Universal was initially intent on burying the movie (partially because some seemed to think the film was pro-Communist), but after the soundtrack started selling well, it got a wider release, found its audience and gained enough fans to keep it alive nearly 30 years on.